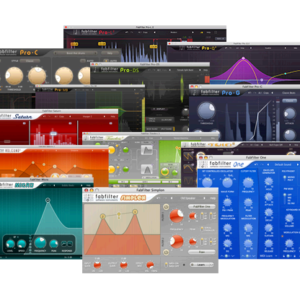 The FabFilter Essentials bundle contains 3 plug-ins — Pro-Q 3, Pro-C 2, and Pro-R — no recording engineer should be without these essential tools. 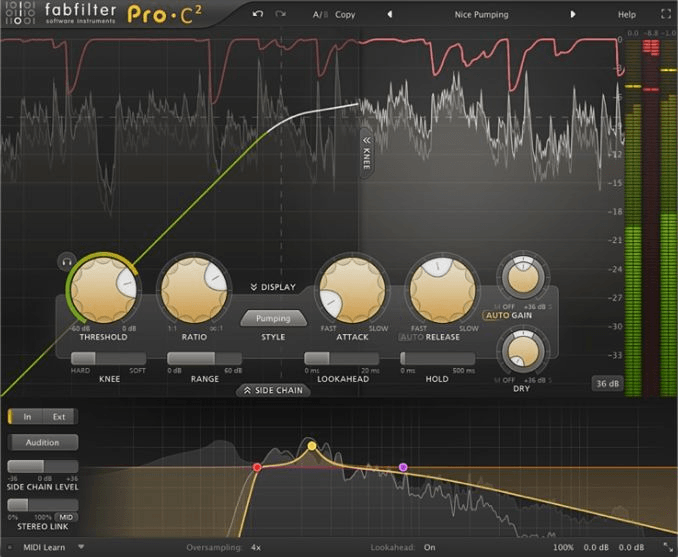 More than a powerful EQ plug-in, the FabFilter Pro-Q 3 is ready to become your go-to sound shaping tool. 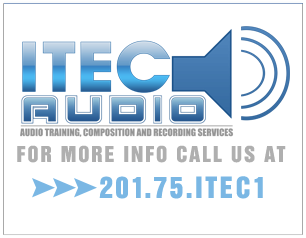 Make subtle tweaks or heavily filter your audio with a wide range of filter types and up to 24 EQ bands. 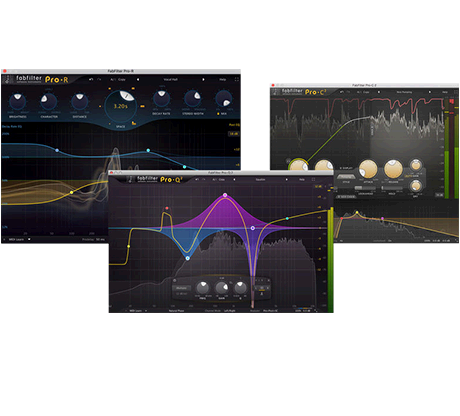 Make your snare drums crack, add brilliance to vocals, or even match the EQ curve of one track to another. 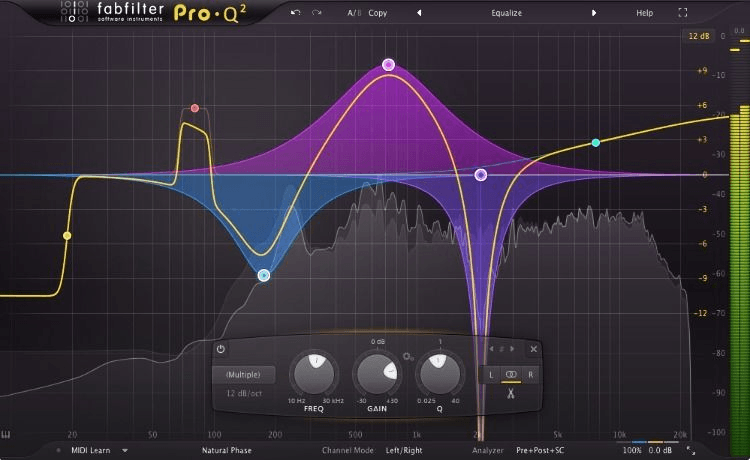 If you only had one EQ plug-in for production and mixing, Pro-Q 3 would be a smart choice. 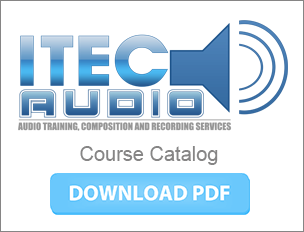 Compressions is one of the most important signal processing tools . 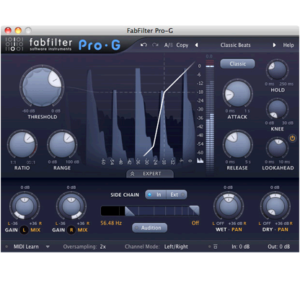 One compressor plug-in that’s garnered rave reviews for its beautiful sonic character and versatility is FabFilter Pro-C. 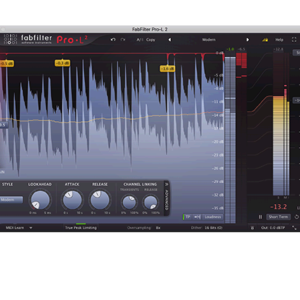 Sporting an innovative interface plus flexible side chaining and routing options, Pro-C 2 gives you high-quality compression and useful program-dependent presets. In Expert mode, you can access Pro-C’s external side chain input and choose between mono, stereo, or mid/side processing with customizable channel linking and routing. 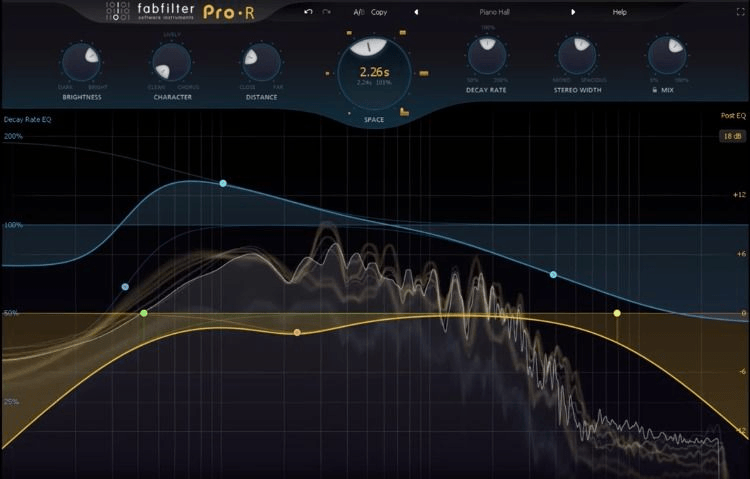 FabFilter Pro-R is an incredibly realistic-sounding reverb plug-in that lets your tracks sit nicely in the mix without causing unnatural coloration or phase issues. We’ve found Pro-R to be amazingly versatile. Reverbs come in all shapes and sizes, and the Pro-R nails them all to perfection. 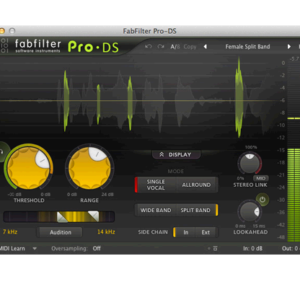 From intimate rooms to enormous cathedrals (and everything in between), FabFilter’s sophisticated algorithms faithfully create the perfect ambience for any track, with pristine fidelity and gorgeous tails. And considering how effective it is, you’ll find Pro-R, with its beautiful Retina interface, delightfully simple to use.